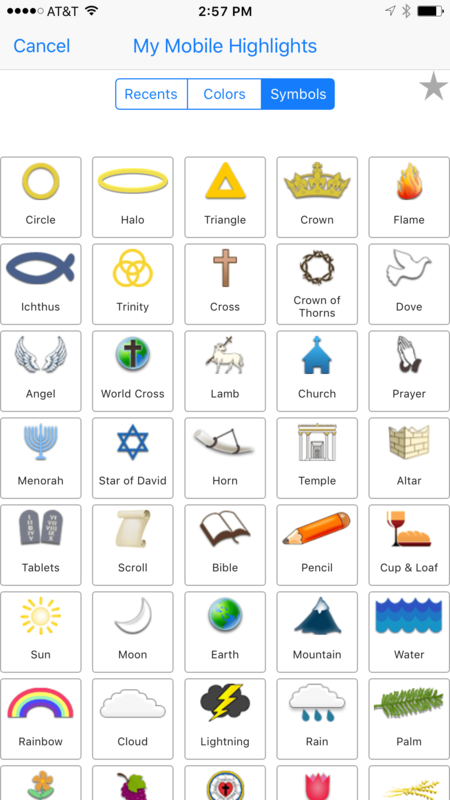 Accordance Bible Software released a new version of their mobile app awhile back. It includes a bunch of great new features that make it vastly improved over the earlier versions, which I never really used much due to the sub par quality. However, these new features entice me to open Accordance Mobile more than ever before. Here’s the 5 ways that Accordance Mobile 2 is vastly improved over the earlier version. Here’s Accordance’s own video highlighting the update. In Accordance Mobile 2 there’s now a link/unlink button. Look for it at the top of the window above just right of the window divider. Tap it to unlink the second window. It seems strange, but Accordance didn’t handle unlinking of window panes well until version 2. Now the app includes a button on the toolbar that quickly links or unlink the two open window panes. Open two window panes as normal. Then tap on the link button to either link them or unlink them. When the user unlink the two, the second pane will not scroll along with the first. This makes it easier to deal with commentaries where a person wants to read an entry from a previous passage without moving the Bible text to the earlier verse. There’s two download buttons on the toolbar. One downloads just the selected books. The other downloads all of the books in the user’s account list. When installing books in Accordance Mobile 2, there’s now a download all button that makes it easy to quickly install the entire Accordance Mobile library. Before we had to select each book and then download them. Other mobile Bible apps need this feature. I’ve begged one app developer to add this feature since the iPad first came out. The text display button looks like two A’s. Tap it to show the above box. The new text display engine makes notes better too. Accordance really improved the notes features in Accordance Mobile. For example, users can now format their notes with things like font, font size, the color and format of the font (bold, italics, underlining). Users can also copy their notes and share them with others via iOS share sheets. Define words in notes and search for selected text in notes. Accordance Mobile 2 now lets users change the background color of their notes as well. The iPhone 6 Plus lets people use apps in landscape mode thanks to the large 6.5-inch screen with high-resolution retina display. Accordance uses all that screen real estate to show more content in a side-by-side parallel pane view. 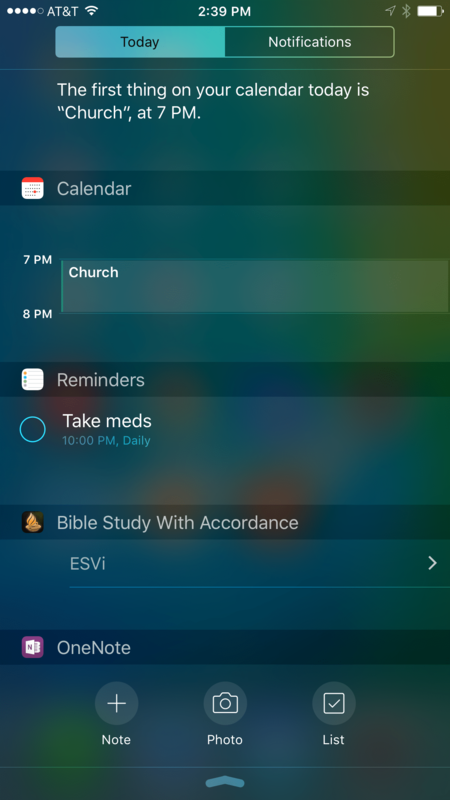 Accordance puts a shortcut widget in the Today section of the iOS Notifications pull down screen. Thanks to the notifications section in iOS, Accordance Mobile can put a shortcut to the app in the Today section. Slide down from the top of the screen and tap on the Edit button at the bottom of the Today section. You’ll see a list of available Today section widgets. Tap the plus icon next to any one of them, including Accordance Mobile. This puts the widget in the list at the top of this screen. Rearrange the order of the notifications Today section widgets by dragging on the handle that looks like three horizontal lines to the right of the item. In the above screenshot I’ve only got on link. However, all recently opened resources will show up. It could list many more than the one book like mine does above. A new fuller action menu pops up when a user selects text in Accordance Mobile. 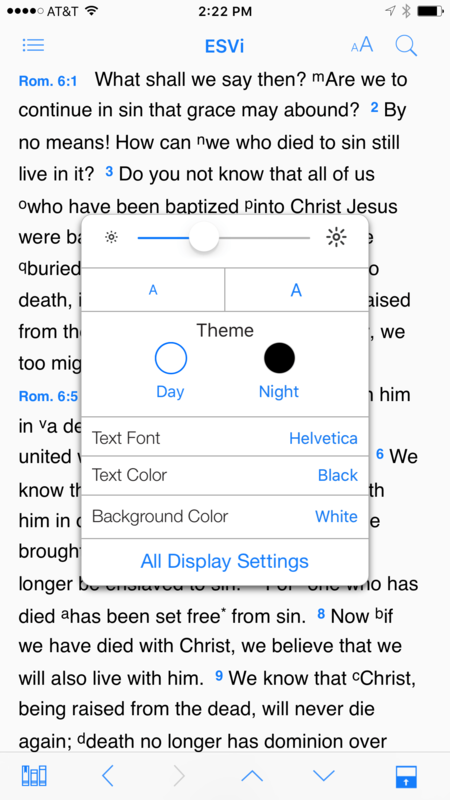 Now when a user selects text in a book or Bible text, a new expanded action menu appears above the selected text with new features. 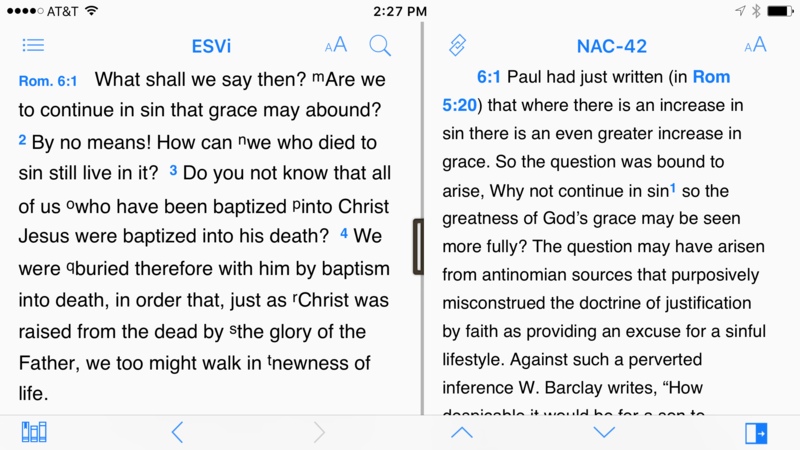 The Search and Amplify features won’t show up on the action bar that appears above selected text when there’s a Bible with Strong’s tags opened, like the ESV, HCSB or KJV. In that case a box opens up (called the Instant Details) below the word with a definition from Strong’s and two hyperlinks with Search and Amplify there instead. Select text and tap highlighting in the new Action Menu to bring up the highlighting box. Tap on symbols to show the above screen. 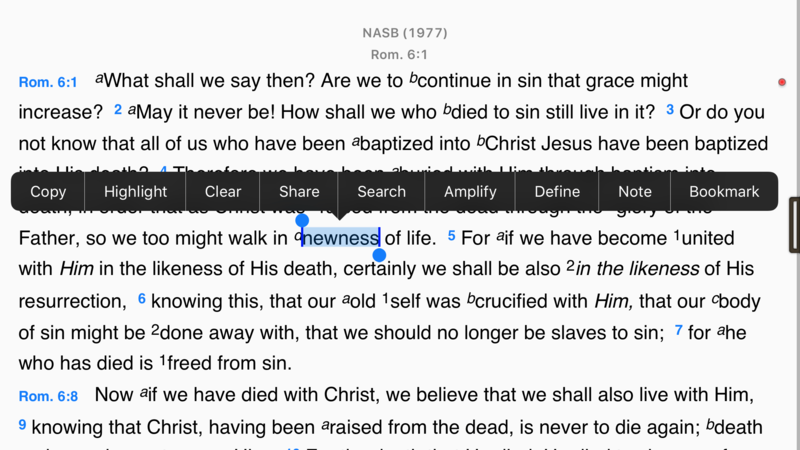 In addition to the traditional color highlighting of text, Accordance Mobile 2 adds highlight symbols. 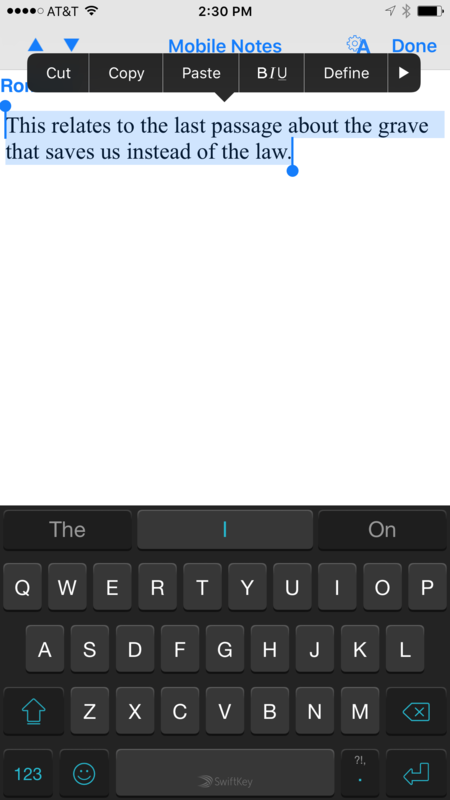 Tap the symbols tab that shows up in the highlighting dialog box and choose a symbol. That symbol will show up below the text of the verse selected when the use added the highlight. There’s also a Recents tab which shows the user’s recent highlight symbols or styles. Also, uses can add other highlight styles and choose them by tapping the Highlights title. Who doesn’t love free stuff. Accordance Mobile 2 will include 2 more free resources. Accordance added the Dr. J’s Bible Study Methods tool, which teaches people who to study the Bible using Dr. J’s methods in Accordance. He’s the guy in the video above. 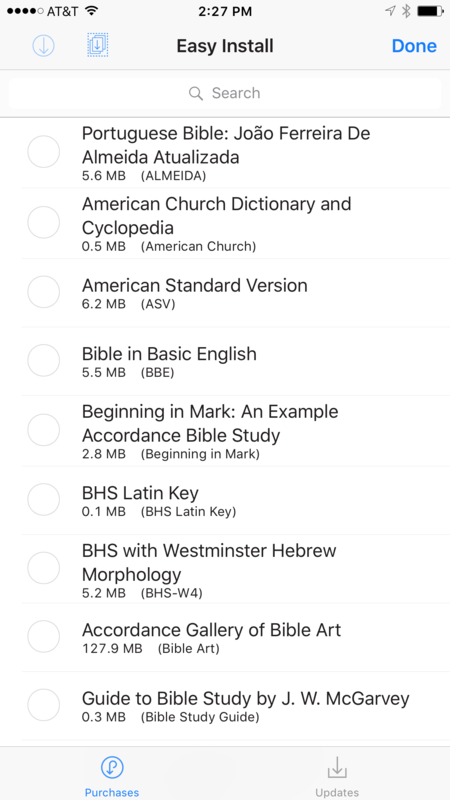 Use this as a tutorial for Accordance like a quick start guide to studying the Bible with the program’s powerful features. They also added Bill Mounce’s Biblical Training course. There’s 17 of them available free. Get more info at Accordance and download the app from the App Store.